Here we go; the latest series from Kieron Gillen and Jamie McKelvie lands this week and boy, oh boy, is it good. I mean really good. *REALLY* good. If you listened to the 3 Bods 1 Pod interview with Kieron Gillen last month, you’ll have an idea about what to expect, but if you haven’t (And shame on you, go listen to it now!) The Wicked + The Divine is an ongoing series showing what happens when 12 gods reincarnate on Earth every 90 years for a 2 year period of burning brightly, before being snuffed out. I’ll split this review into two articles; one spoiler free, discussing the style and look of the book and a rough outline of the plot, then a second one later in the week once you’ve had a chance to read the issue, discussing the plot in more depth and the many details that caught my eye. The Wicked + The Divine opens with a very enigmatic prologue in 1923 set during the final hours of the remaining gods during the previous incarnation and we are left asking dozens of questions before we even start the story proper. It’s a great start and an extremely effective way of piquing a reader’s curiosity from the get-go. The character providing the reader’s point of view is a seventeen year old called Laura, who’s become a fan of Amaterasu, the first of the twelve deities we meet in the present day. If you’ve read their previous Phonogram work, you’ll already know that Gillen and McKelvie can nail teenagers (No, not like that…) and this continues here. Laura sounds and looks like a teenager who’s searching for an identity and finds it in the pop star she idolizes and let’s be very clear, idolizes is the right word. How else would you describe being a cosplaying fan of a goddess? Laura sneaks out of her home and heads to a gig in her regular clothes but, once there, transforms herself into her idol, complete with the aching pang of low confidence that we’ve all felt when trying to transform ourselves into something we hope will make us better. For Laura, the gig is a spiritual experience and Amaterasu an almost messianic figure. Waking after the set, Laura meets her first divine being, and I find myself crushing on a fictional character. AGAIN. The middle third of the issue has a starstruck Laura sitting in on a rather hostile interview of Amaterasu by a cynical journalist convinced that the gods are nothing of the sort. The interview is brought to an abrupt end for reason I shall not spoil here, but suffice to say Lucy is staking a good claim to being “Best WicDiv-er EVAR” already. Sadly her actions lead us into the final third and a great cliffhanger, ensuring you will be back for issue 2. I found it interesting to note that the world at large believes that these shooting stars are the gods they claim to be. No living in secret, in a world that hates and fears them, for these Ex-men and women. The gods and goddesses of The Wicked + The Divine are aware of their power. They know their moment of glory will be an all too fleeting two years, so they’re making the most of the spotlight, before it burns them out. These people are cashing in in much the same way we see reality television contestants do, and who can blame them given the society they’ve grown up in? Where the art in their Young Avengers had wowed fans and critics alike (Remember that Chris Ware-esque fight sequence in the club?) 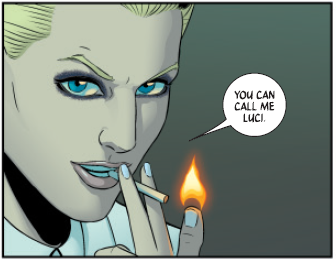 The Wicked + The Divine kicks it all up another notch. 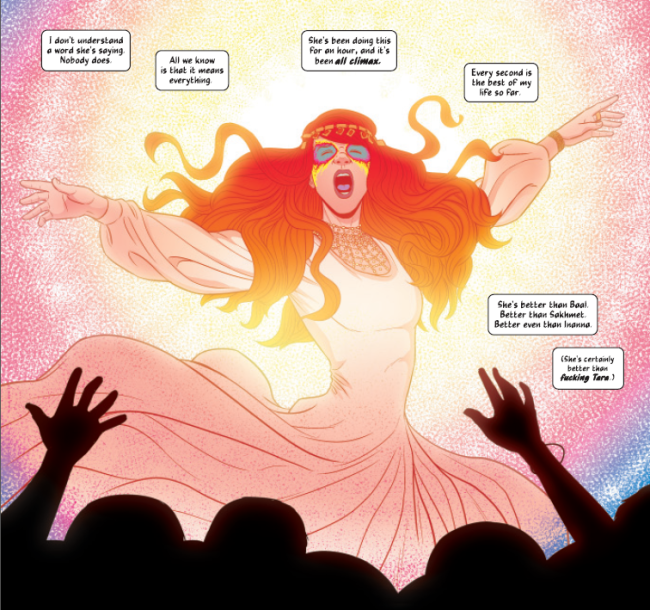 Facial expressions run to an even broader range and McKelvie makes everyone look very distinctive and individual, avoiding the trap of characters looking too similar but for hair colour (a somewhat-unfair criticism he’s suffered before) Amaterasu looks more than a touch like Florence Welch when she performs, all fiery tresses, whirling dress and arms stretched wide to her supplicants. While we’re on the subject of clothes and looks; as you might expect from a Gillen/McKelvie tip, The Wicked + The Divine has a massive sense of style. Everyone’s outfits and accessories have been meticulously planned and laid out in advance. 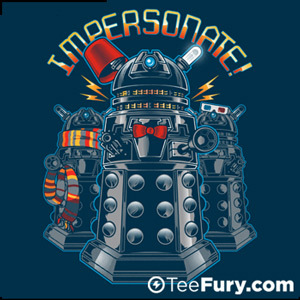 I’m torn between reading too much into this, and just accepting that the creators love their characters to look good. To be honest, it’s probably both! 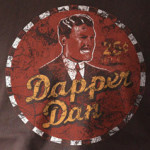 The look of the 20’s Divines is perfect, all sharp suits and flapper dresses. The modern cast have a broader range of styles but all in keeping with the setting and reflecting the broad range of fashions of the present day. It’d be impossible to cover the book without mentioning Matt Wilson for his sublime colours throughout. When you get to the club scene, try and tell me you’re not impressed with the way he frames Laura’s face in the crowd without making it LOOK like he’s framing her in the crowd. Use of lighting and shade is fantastic here. The atmosphere in the opening sequence is mesmerising; the shadows giving an appropriate sense of foreboding, the light illuminating less of the room than we might like (With only 4 deities left, this may be symbolic, their metaphorical lights are being snuffed out, one by one). One detail that really sang out to me was the colouring of the panels where divine power is used; it’s very much a pop-art/Lichtenstein feel. This is really in keeping with Kieron’s statement that if Phonogram was about being a consumer of art (in that case, music) then The Wicked + The Divine is about being the artist and what work you leave behind. Ultimately this is an exceptionally strong first issue from a creative team that have a proven track record of producing great work together. 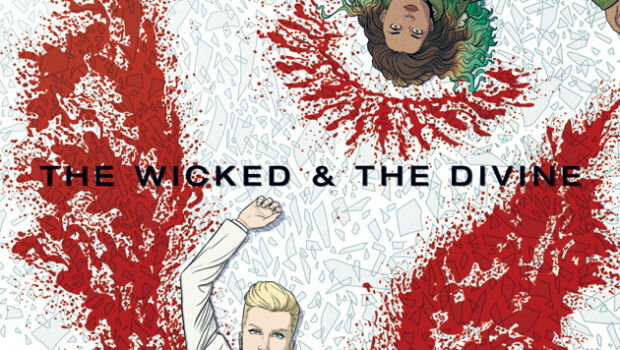 The Wicked + The Divine starts as it means to go on. There’s great characterisation here and an intriguing plot that will unfold over time, coupled with spectacularly good art. If you liked the team’s work on Young Avengers then you’re going to be reading this. If you’ve never read any of Gillen and McKelvie’s work before, then you’re in for a treat. It has the same kind of “ensemble cast & complex plot show” hook as Lost, Battlestar Galactica or Heroes did when they first started, but this promises not to degenerate into a damp squib of an ending. 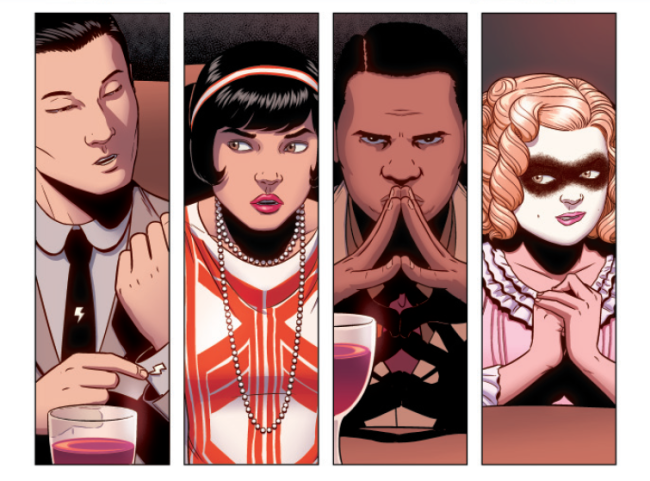 I give The Wicked + The Divine 1 a barnstorming 5 acts of god out of 5. The Wicked + The Divine is out today, published by Image Comics.